1. Winter Getaway Packages: Since the winter months are the slowest months for inns, hotels and cabin rentals, you will find the best deals of the year. See a big variety of Winter Packages and Specials. Book ahead for Valentine's Weekends, since they will be busier. See our top rated B&Bs, cabins and hotels. 2. Biltmore Specials: Enjoy the grand estate without the big crowds and get great deals on tickets and accommodations at two hotels. The big clothing display inside the house "Vanderbilt House Party" opens on February 8, 2019. Read about winter outings and specials at Biltmore. 3. Spa Pampering: Be it a simple weekend of relaxation, a romantic couple’s getaway in the mountains or a chance to improve your health, Asheville is the ultimate destination for spas and wellness. 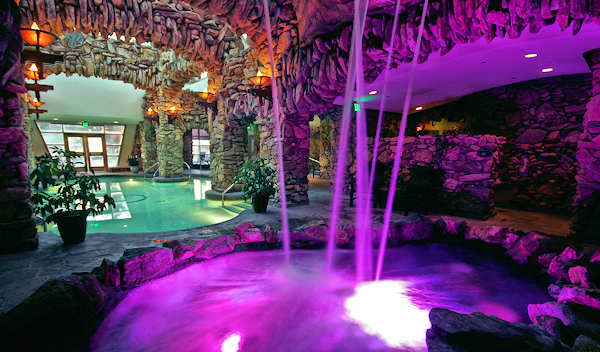 See our Top 15 Asheville Spas. Photo above is the Spa at Grove Park Inn. Also, warm up in the 100-degree natural mineral waters in Hot Springs or a Salt Cave. 4. Ski & Snowboard: Beech Mountain is the highest town and ski area in eastern USA, and they have tubing and great ski packages. Cataloochee Ski Area in Maggie Valley is an easy drive from Asheville. Banner Elk is our Top NC Ski Town. 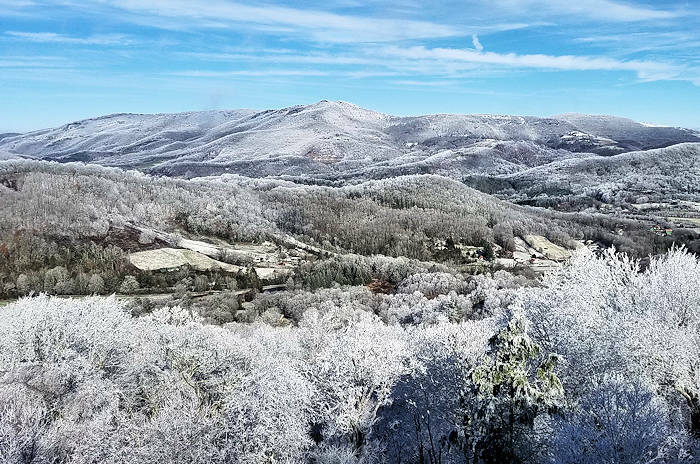 Plus, see other NC ski resorts near Asheville. 5. Foodie Favorites: Dine at farm-to-table restaurants, take a chocolate tour, and browse the WNC Farmers' Market, just to name a few. See our Top 12 Foodie Favorites. 6. Small Town Getaways: Head to Jackson County and their cool small towns of Sylva, Dillsboro and Cashiers for the perfect getaway for relaxation, exploration and pampering. Find cozy cabins, fun breweries, spas, great restaurants, waterfalls, hikes and more. See our Jackson County Winter Getaway Guide. 7. Beer Crawl: Asheville (a.k.a. Beer City U.S.A) has an amazing selection of craft breweries and pubs. Sample 100+ local brews and meet some very interesting people along the way. See our top picks for beer the Asheville area. If wine is more to your liking, see our guide to Asheville Wine Bars. 8. Downtown Asheville: Browse through more than 200 shops, 30 art galleries and a dozen antique stores. Savor local food at 70+ restaurants. Tour the fascinating Thomas Wolfe Home. See our Downtown Asheville Guide. 9. Indoor Attractions: Winter is a great time to explore the many fascinating indoor things to do in western North Carolina. Many are free or have a minimal admission fee, and there's something for all interests. 10. Art & Craft: With more than 100 galleries and even more artist studios, you will need plenty of time for exploring. In addition to the galleries in downtown, head to the Folk Art Center and the River Arts District. See our Gallery Guide. 11. Outdoors: Take a hike with great views due to leafless trees, cool temperatures and far less crowds, it may become your favorite time of the year to hit the trail. 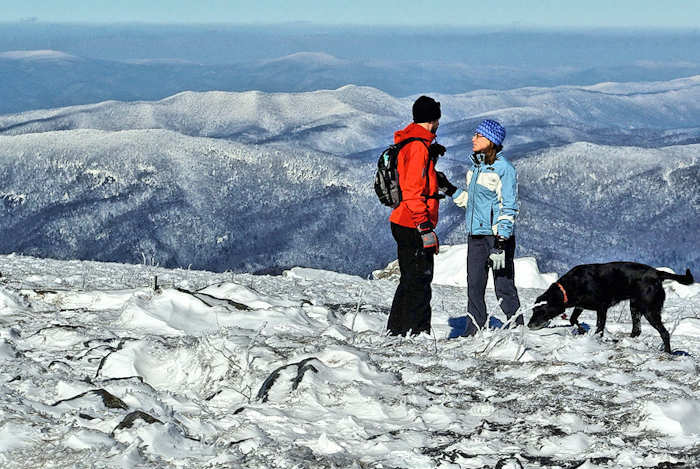 See our winter hiking guide for our top picks. And don't forget to find some of our spectacular waterfalls. See our Top 20 Winter Waterfalls to explore. Zipline and play in the trees at the Adventure Center near downtown Asheville. 12. Live Music & Dance: Each evening, Asheville hosts a big variety of live music. See some of our favorite music venues. Bonus: Valentine's Week - Take a photo tour of things to do with your sweetie. Check out our calendar of the best festival and events in Asheville and western North Carolina in April and May. Asheville Symphony presents 10 days of multi-genre events and concerts for all tastes and ages at multiple venues - including collaborations with many arts groups, often paired with beer and food. This annual Spring Conference at Mars Hill University includes 150+ practical, affordable, regionally-appropriate workshops on organic growing, homesteading, urban farming and rural living. Plus trade show, seed exchange, special guests and on-farm events. Swing dance away the weekend at the Omni Grove Park Inn in Asheville with the Tommy Dorsey Orchestra on Friday & Saturday nights. Two night package from $918/couple.